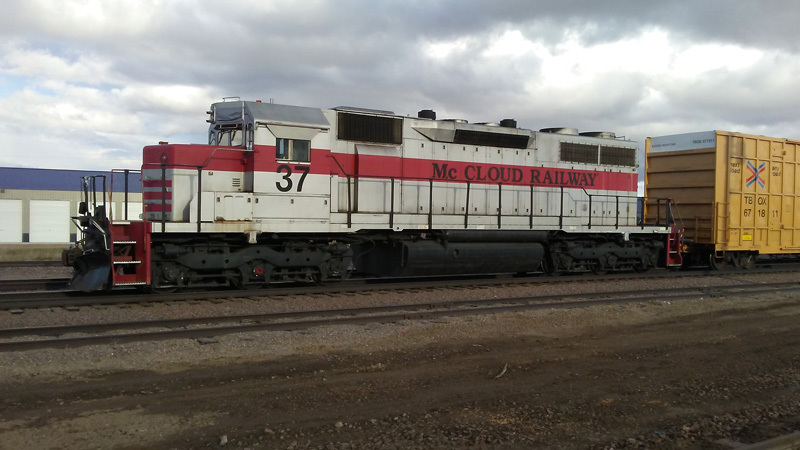 In October 2016, McCloud Railway's owner Midwest Pacific attempted to remove the three SD38s from the railroad. 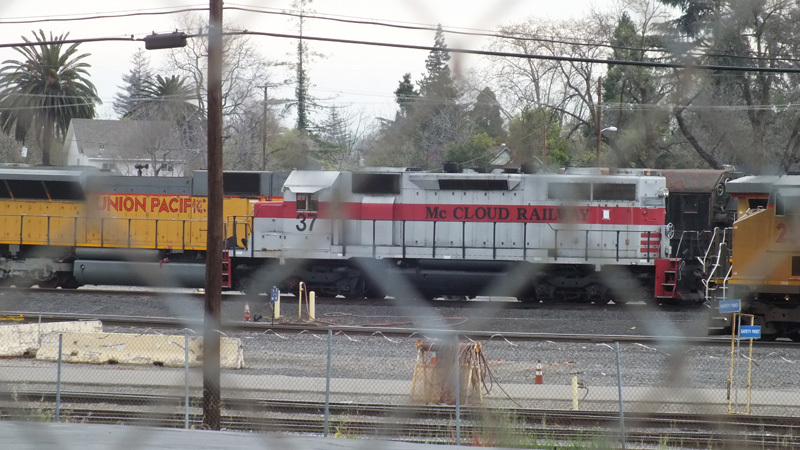 In the end only the #37 made it out of McCloud, and it sat at the Union Pacific interchange from October 2016 until UP finally picked it up in late February 2017. 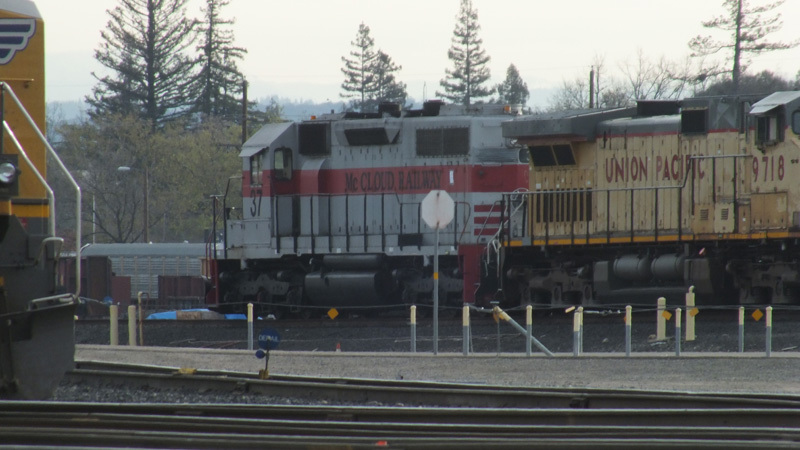 The locomotive had an interesting journey east- the original plan called for it to go to Klamath Falls, where it would be set out for pickup by a southbound train, which would forward it on to Roseville. The plan fell apart that first night when the #37's front drawbar pulled out around Macdoel, California. UP shoved the #37 in a spur at Dorris, California, where it sat for a few days until a southbound train picked it up. 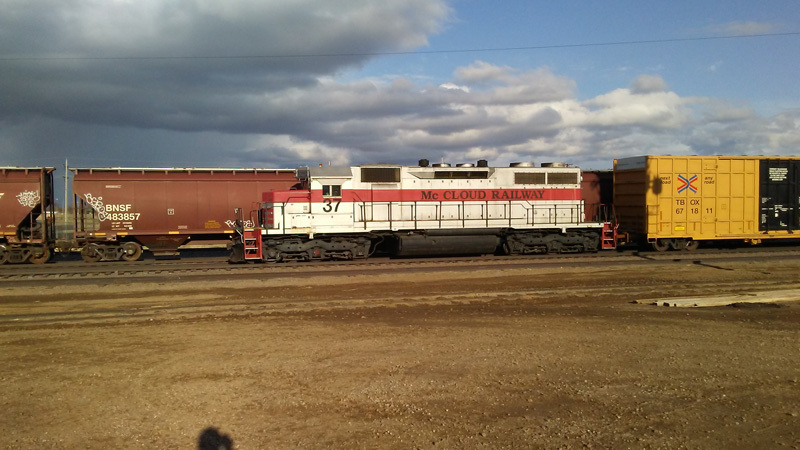 The #37 spent most of the next month in Roseville, at first getting repaired and then awaiting shipment east. 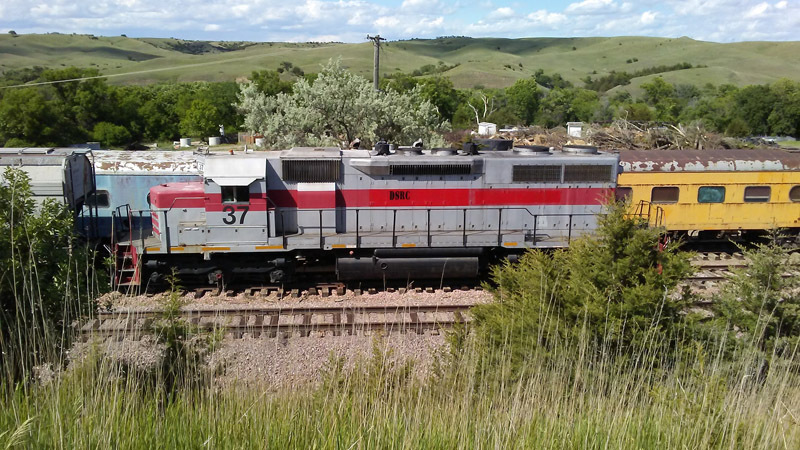 That movement finally commenced on 22 March 2017, and the locomotive arrived in South Dakota by the first couple days of April. 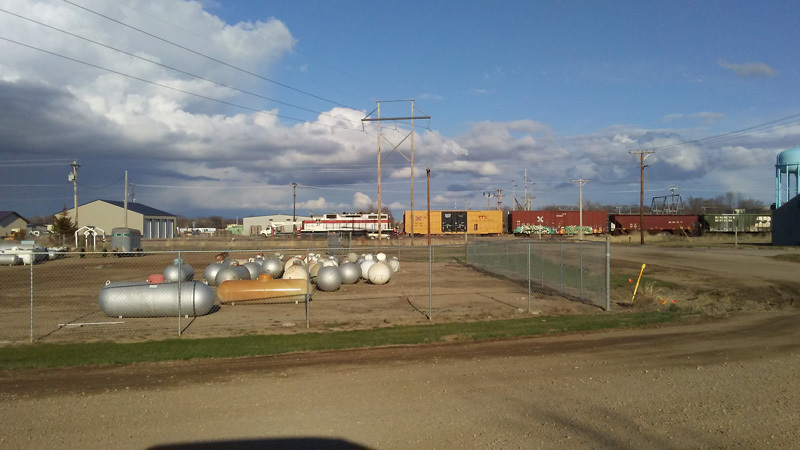 First off, two photographs of the #37 in Union Pacific's Roseville yard. Jeff Moore photos. Second, Tom Hatfield sent the following photos of the #37 in Mitchell, South Dakota, interchange point between Dakota Southern and BNSF.